Martin Automatic, the leading American manufacturer of unwind, splicing and rewind technology, has struck up a successful new working partnership with the Italian printing press manufacturer, Lombardi Converting Machines, based in Brescia. The first sale with Lombardi, of a Martin MBSF unwind/splicer, was concluded in February 2014, with the end user being one of Nigeria's principal phone card manufacturers. 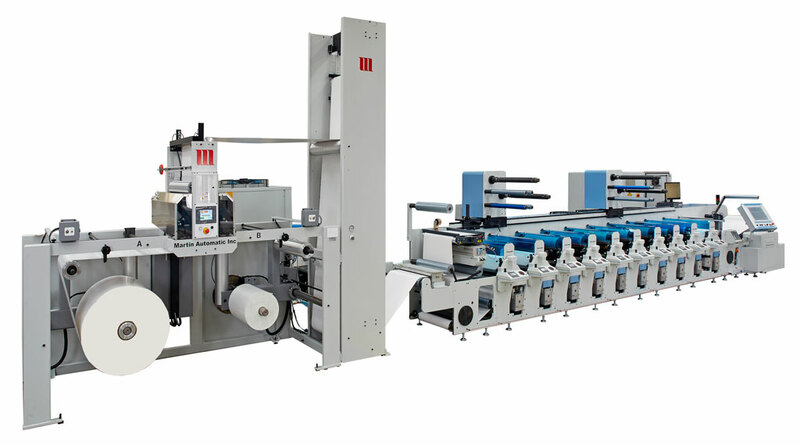 Specified to run up to 500gsm board, along with paper, PSL, BOPP, PVC, PET, and films from 38-micron upwards, and fitted to a Lombardi Synchroline 620 press, the Martin has performed so well since installation that two further MBSF splicers have been ordered and will be delivered by Martin in the Autumn. Speaking for Lombardi, Massimo Lombardi stated: "We are delighted to be working with Martin Automatic. Their enthusiasm for performance and their level of service commitment is outstanding - in fact, they even trained our own engineers to install the MBSF at the customer's plant in Nigeria, and it all went without a hitch. We look forward to a long working partnership with them." Responding for Martin Automatic, VP Sales & Marketing Gavin Rittmeyer said: "It is always rewarding to open a new account with an OEM, and in Lombardi we see a company that is well in-tune with our own philosophy of efficiency and customer support. The order for the second and third splicers so soon after the first is a sure sign of successful partnership." 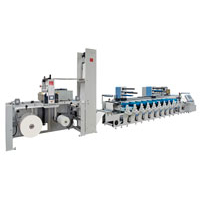 Lombardi Converting Machinery is an international company specialising in the manufacture of inline flexo printing presses suitable for the label, flexible packaging, and carton industries.